Opened in March 9, 2000, Etihad Stadium is used for sport and as an entertainment venue. Located in the redeveloped Melbourne Docklands, it lies between Spencer Street and Melbourne's central district and the river. Etihad Stadium is the only football stadium in the southern hemisphere that has a retractable roof. By car along the via the Bourke Street Extension. Walk from Southern Cross Railway Station using the elevated footbridge. 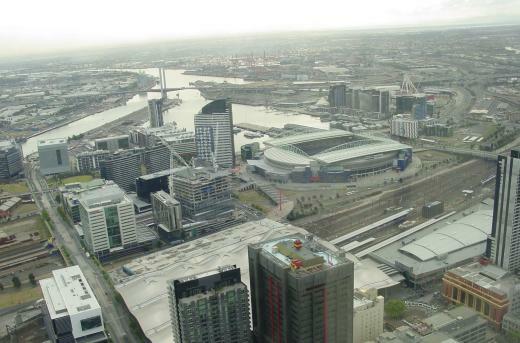 Trams run to Etihad Stadium from La Trobe Street and Harbour Esplanade. Trams also stop in the CBD on Spencer Street, Bourke Street and Collins Street and all are a short walk to Etihad Stadium.